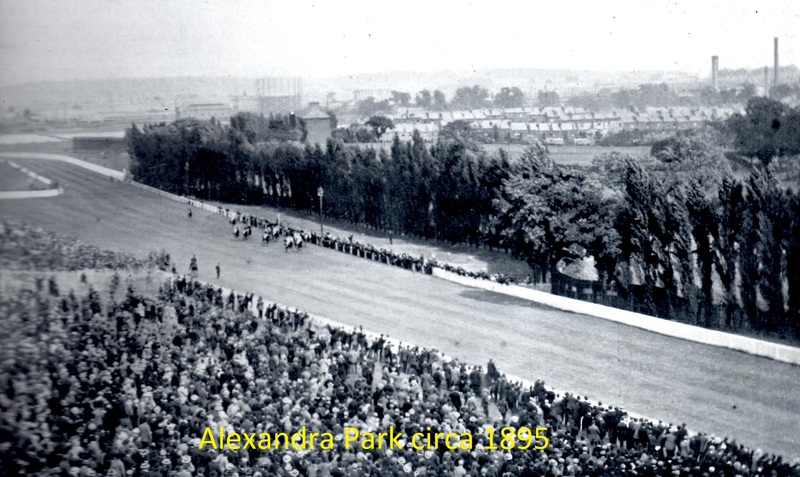 The Alexandra Park Racecourse, situated near Muswell Hill in Greater London, first held races on Tuesday 30th June 1868. 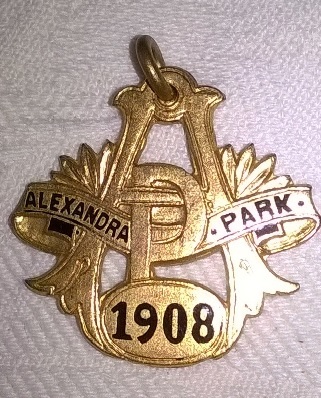 Ally Park, nicknamed the Frying Pan, was a much loved and sorely missed racecourse. 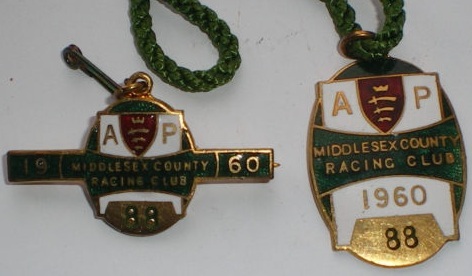 The pear shaped course with a stick attached is how a number of people described the course, with 2 loops coming off a single straight, and all the races except the 5 furlong events run the reverse way of the course, with starts by the winning post. 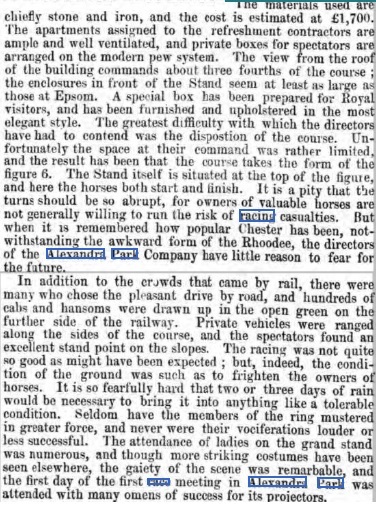 However, the 5 furlong course had well-graded curves about 2 furlongs from the start. 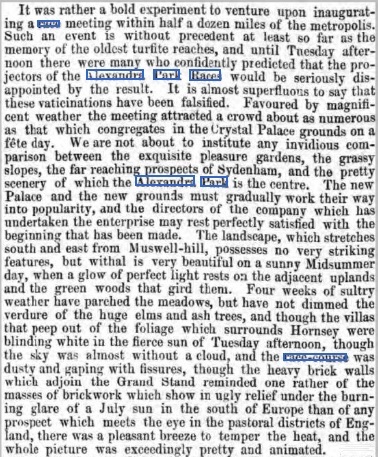 At the inaugural meeting in 1868 the Palace Handicap over 2 miles was a keenly fought affair in which Mr Hamilton’s Mexico got the better of Success. 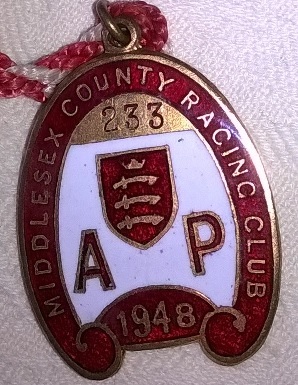 The annual members badge pass for Alexandra Park racecourse had an AP in the centre, with members belonging to MIDDLESEX COUNTY RACING CLUB. 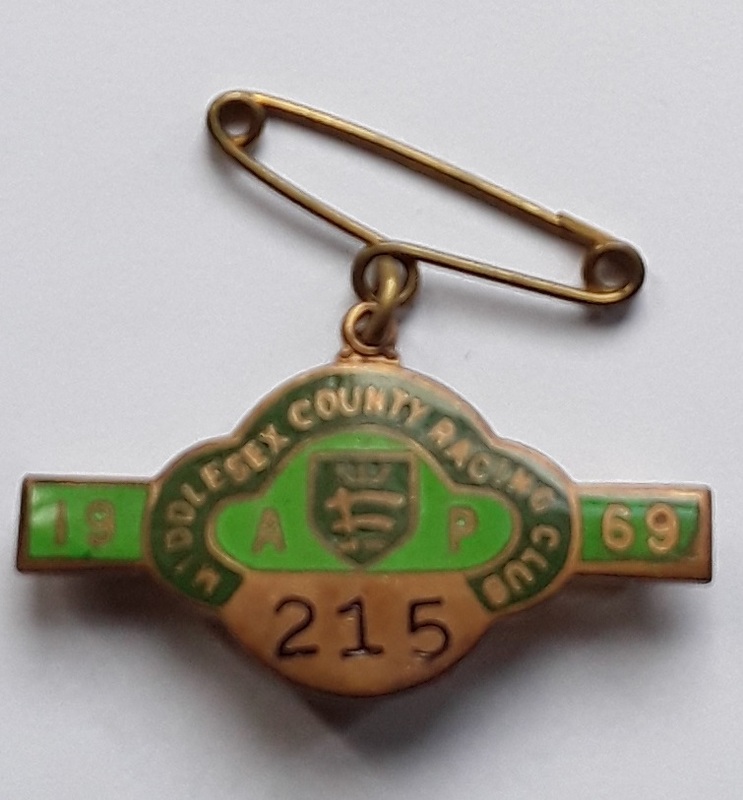 One very special badge from 1906 with membership number 174 belonged to Mr H Archer and on the reverse reads ‘KILLED IN ACTION NOV 4 1914 QGOH H. ARCHER’ which his parents had inscribed when he was fatally wounded in the War. 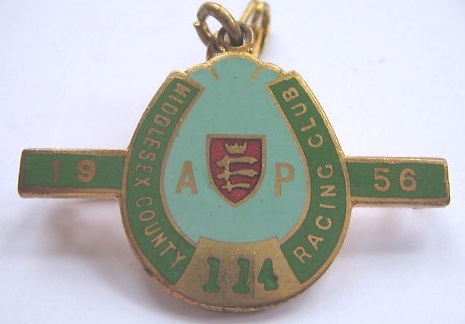 He had been a member since 1906 and purchased his member’s badge for 1914 in the hopes that he would serve his country and return to enjoy racing at his beloved Alexandra Park. 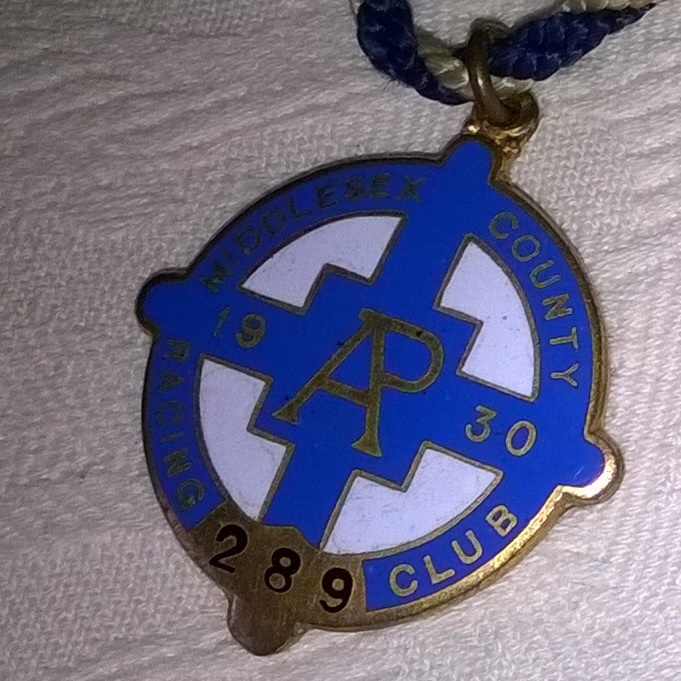 However, it was not to be and his parent’s final gesture was to inscribe his most treasured possession, his members’ badge. 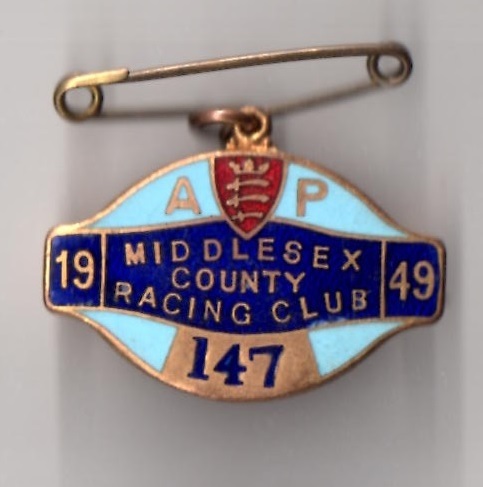 Horse racing club members badge pass for Alexandra Palace racecourse, AP to centre, MIDDLESEX COUNTY RACING CLUB 1906 around the edge. 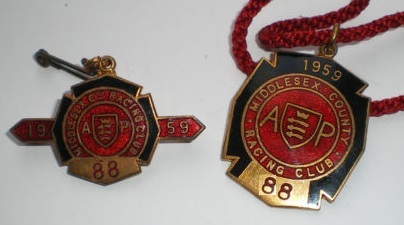 Enamelled in red, white and blue, members number 174 on reverse. Made by Bowman Ltd, 70 Goswell Rd, London.  Has some chips, mainly to the white enamel, but is still in a reasonable condition. 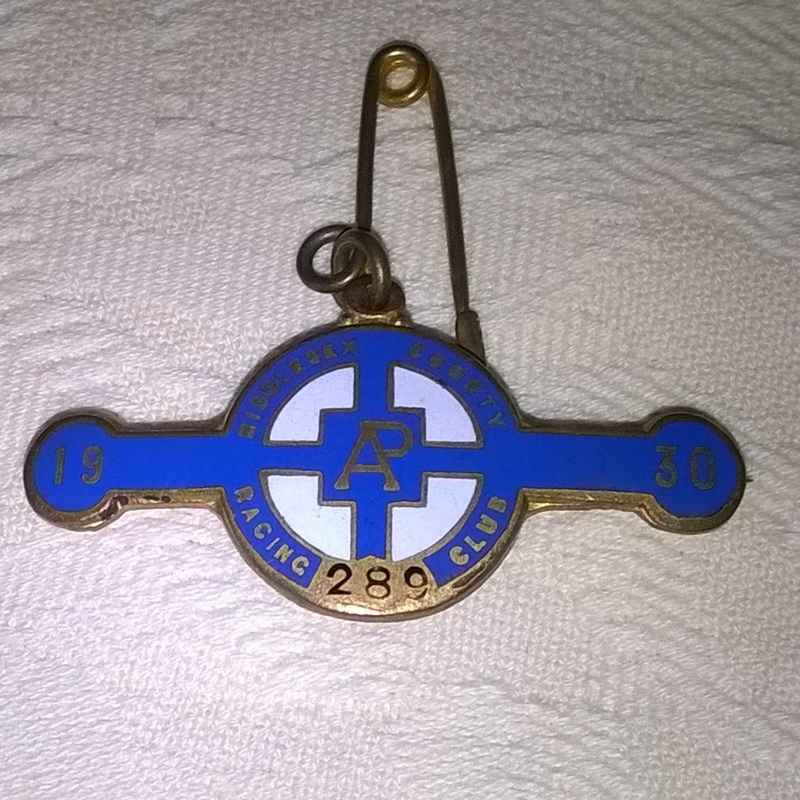 Has a feint, hand engraved inscription on the back, reads KILLED IN ACTION NOV 4 1914 QGOH(?) H. ARCHER. On checking the War graves site, this appears to be true, but is one day out. Famous Incident; Can you help? 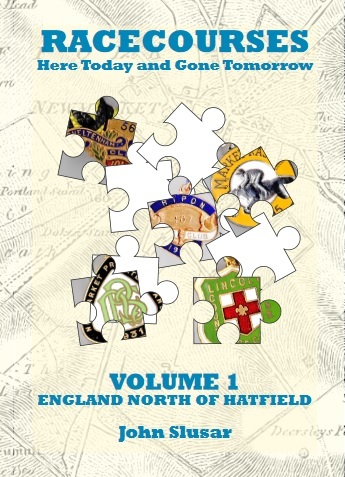 David O’Neale has a number of uncles the eldest two being John and Martin ('Mick') O'Neale who were born 1908 & 1909 and apprenticed at Captain Hogg's at Russley Park, Wiltshire. 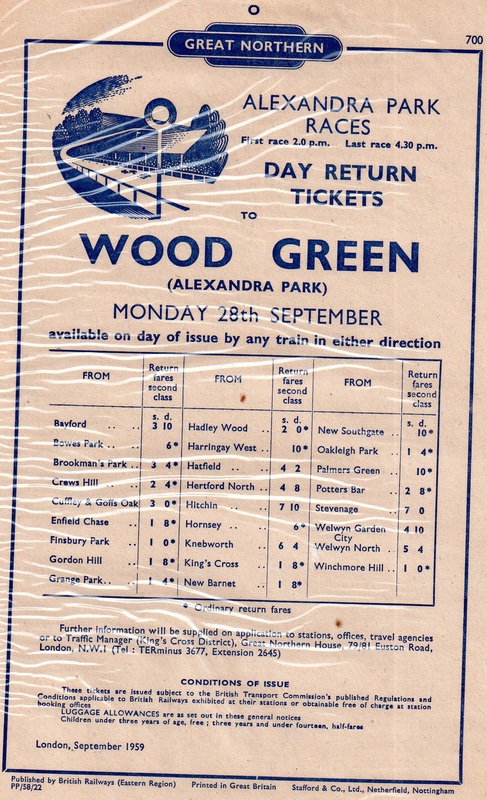 Family legend has it that as an apprentice, John was in a race at Alexandra Park with Gordon Richards, who was also an apprentice, but already well known. John went over the rails and he claimed that Gordon came alongside and pushed him out of the stirrup! 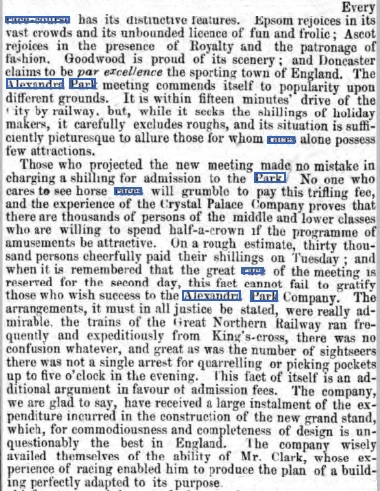 His brother, Martin, then threatened Gordon (or perhaps worse - my father wouldn't say!) 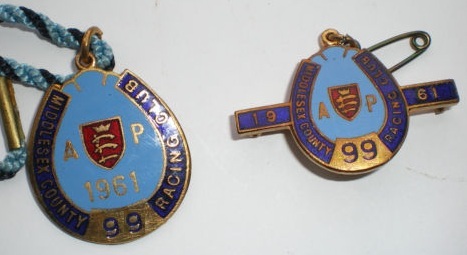 As a result, my uncles were not allowed to be in the same races as Gordon. Eventually, they packed their bags and spent the rest of their racing careers in India. John rode about 1,200 to 1,500 winners overall, which in India, with only one or two race meetings a week was quite impressive. He won the Pakistan Derby after partition. Even in 1920, aged just 11, he won three races in one day receiving silver trophies and a gold watch from his father as a bonus. But what happened with Gordon? 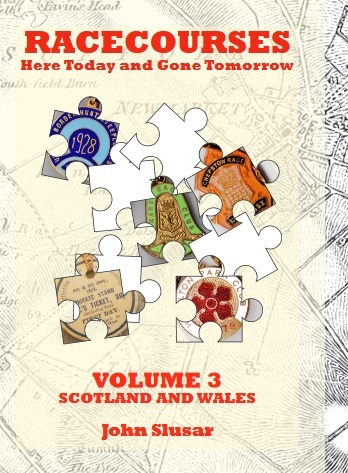 John O'Neale was, my father thought, about 17 at the time (so 1925?) and terrified of losing in case his father set about him afterwards. I am told that my grandfather had quite a temper on him at times. Consequently, some of the family believed John threw himself over the rails as he knew he couldn't win. 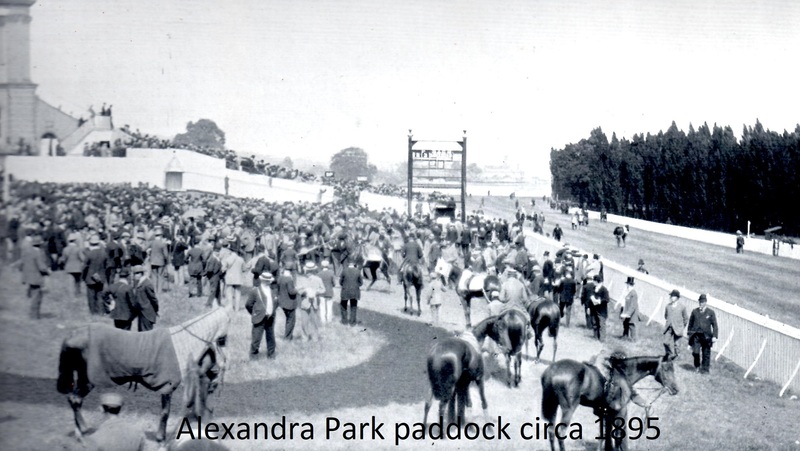 As Gordon Richards is such a huge name in racing, I wondered if there was any account of this story elsewhere, and did it happen at Alexandra Park? 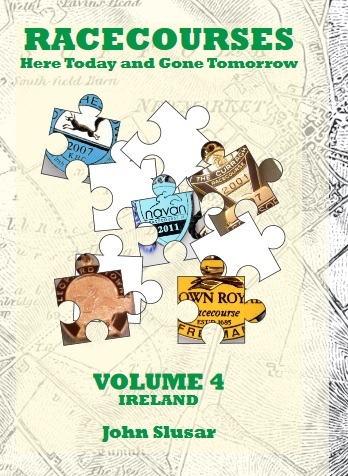 Interestingly, John O'Neale never reckoned Gordon Richards as a jockey (1), still less as the judge of a horse, maintaining that the greatest jockey he ever saw was Charlie Elliott (champion jockey of 1923). 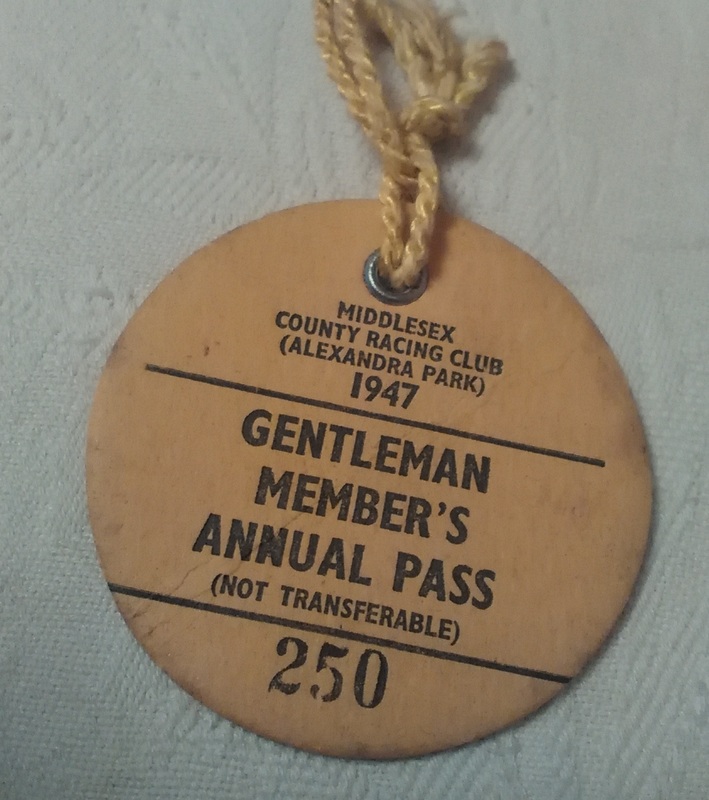 Can anyone shed further light on the incident, or does anyone have an Alexandra Park racecard from that period which might give an indication of the horses involved? 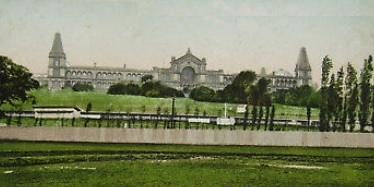 The picture below is from a postcard showing the grand entrance to the course in 1905. 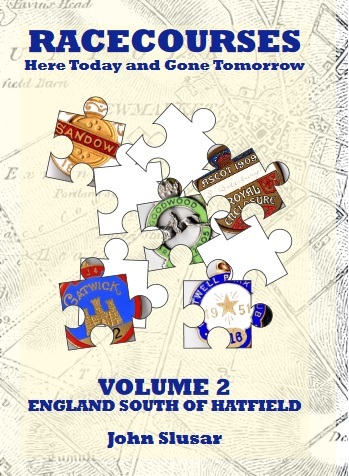 The final meeting took place on Tuesday 8th September 1970 and then Ally Park was no more!